The eighth annual Golf for Hope event is happening on September 8, 2017. Join us as we support the St. 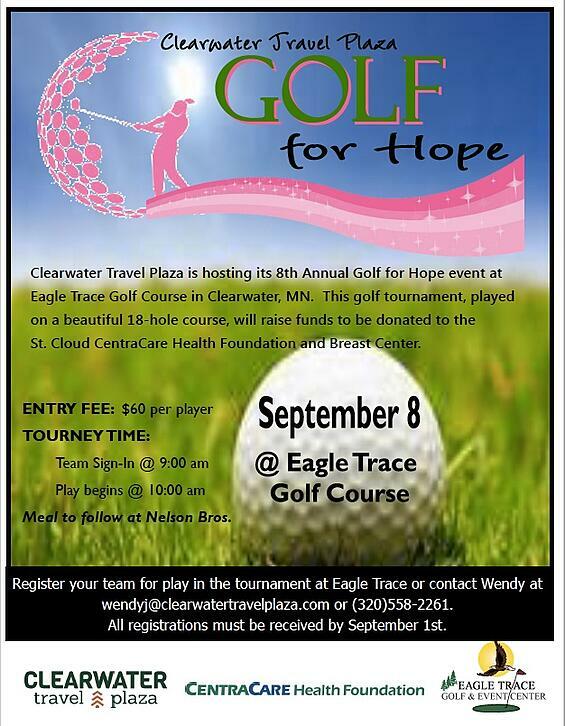 Cloud CentraCare Health Foundation to raise funds and spread hope for Breast Cancer. We are offering sponsorship opportunities at two levels. Learn more information in our flyer by clicking here.